Brett McGinty blessed himself, looked to the Gods high in the Ulster Hall, but was left to curse his luck again. Camlough’s Fearghus Quinn took a 4-1 split decision win over the Oakleaf ABC middleweight in their Ulster Elite final. A capacity crowd stood enthralled over the three rounds. McGinty, a European Schoolboy bronze medallist in 2012 and a Commonwealth Youth silver medallist in 2015, was backed by a huge crowd who travelled over the Glenshane Pass from Donegal and Derry. In his semi-final win over Eraid Muihai at the Dockers Club, McGinty – as has been the case so many times in his career – landed the telling blows at close range. Here, though, McGinty remained behind his jab for long spells in a bid to curb the influence of Quinn. McGinty held away in the opening verse, which strangely came to a halt after just two minutes. Quinn’s own résumé included a narrow loss to Olympian Steven Donnelly in the last version of these Championships. The Armagh man came alive firmly in the second and it was here that the pendulum began to turn. Eugene O’Kane, McGinty’s coach, urged his man to ‘stay focussed’ at the end of the second. McGinty, though, seemed zapped of energy as that last instalment ticked on. McGinty landed a sharp right to the head and followed it up with a left to the kidney, but Quinn responded. With McGinty’s guard loosening, Quinn got through for key shots that ensured he took the spoils. A stop-start 2018 for McGinty came to an end with an impressive win over Stephan Nikitin in Germany, following a narrow loss in October to former European Junior champion Giorgi Kharabadze in Belarus. An eight-time Irish champion, McGinty has had little luck since transitioning into the senior ranks. On his last visit to the Ulster Hall, he was pipped by Aidan Walsh from Monkstown. He competed then, in late 2017, at welterweight, having lost out to Dean Walsh in that year’s Irish Elite decider, too. Last year, McGinty rocked Michael Nevin in the Irish Elite middleweight final, but was edged when the sums were totted and this reversal means it’s an unwanted four-from-four for McGinty – who will go again next month for the Irish Elites in Dublin. Earlier in the night, Illies Golden Gloves’ Donna Barr was narrowly beaten by Canal’s Chloe Fleck in the women’s light-flyweight final. Extras, extras! 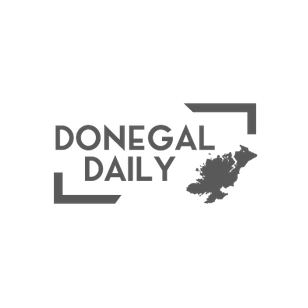 Fancy being an extra for a film in Donegal?